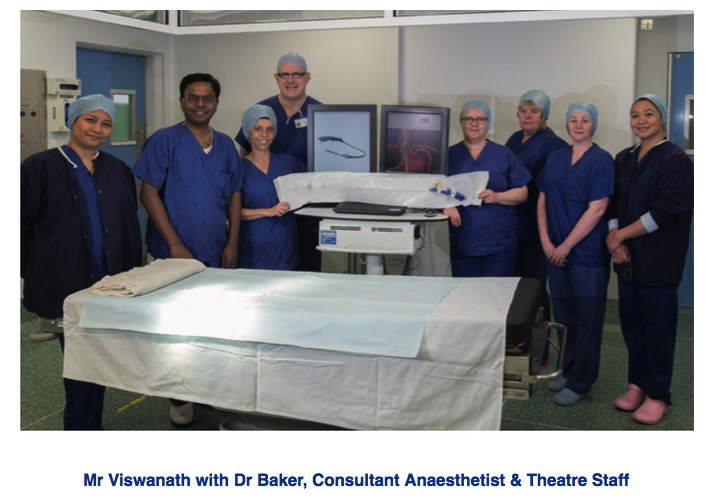 Mr Viswanath YKS performed the first STRETTA (for acid reflux patients), minimally invasive endoscopic procedure for the treatment of gastro-oesophageal reflux disease first time in NHS in the UK, at James Cook University Hospital, Middlesbrough, in 2014 after undergoing advanced training in France and the USA. 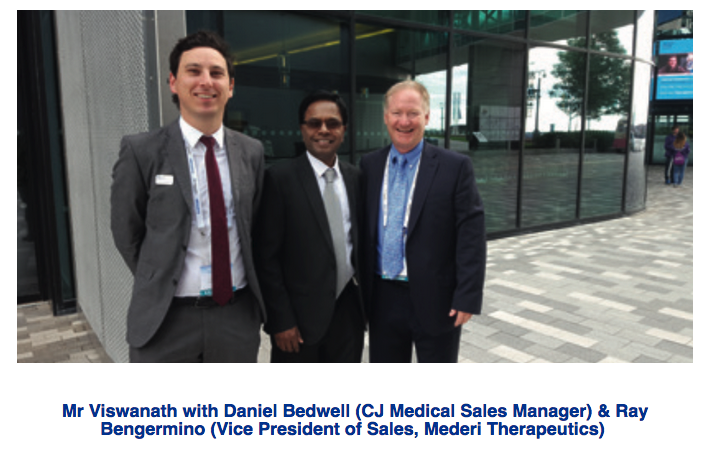 STRETTA (MEDERI Therapeutics & CJ Medical UK) is an outpatient endoscopic day procedure and known to strengthen the lower oesophageal sphincter, that gets weakened in acid reflux patients. He is now also carrying out this procedure for private patients at Nuffield Tees. In an early study by Mr Viswanath and his team, it was found STRETTA is feasible and safe in the treatment of acid reflux disease in selected patients. It achieved symptomatic relief in the majority of patients and, in patients with poor response to medical therapy, it can be considered as an alternative to surgery. This procedure is offered within the NHS while also being available at Nuffield Tees for privately-funded patients. While NHS-private collaboration may not be suitable for every patient and every procedure, there are many for which it provides better outcomes for the patient, for the private sector and for the NHS.